(6) Submission of Premium Treasure’s secret address (2-credit value). Use your Premium Hunt Credits in any combination that best suits your hunt strategy. 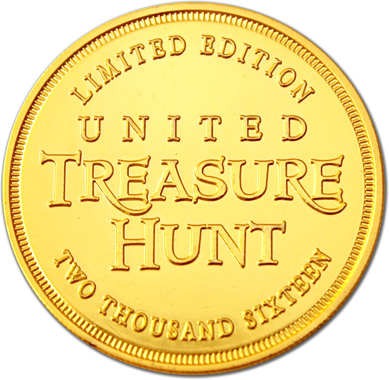 You can collect these exquisite, limited-edition gold-plated coins to trade with other collectors, or redeem them for valuable United Treasure Hunt Rewards. More rewards will be announced periodically. Rewards are subject to change, without notice and future rewards may have higher values. (12) Submission of Premium Treasure’s secret address (2-credit value). (18) Submission of Premium Treasures secret address (2-credit value). The more coins you collect, the more special gifts you will earn! You can redeem them for a Trip to Hawaii or 12-inch MacBook Air. Soon, we’ll add more travel, gifts and technology. Just hang on to your coins, because more rewards are coming. Redeem 500 coins to receive a 4-day, 3-night trip to Honolulu, Hawaii, on the storied south shore of Oahu. 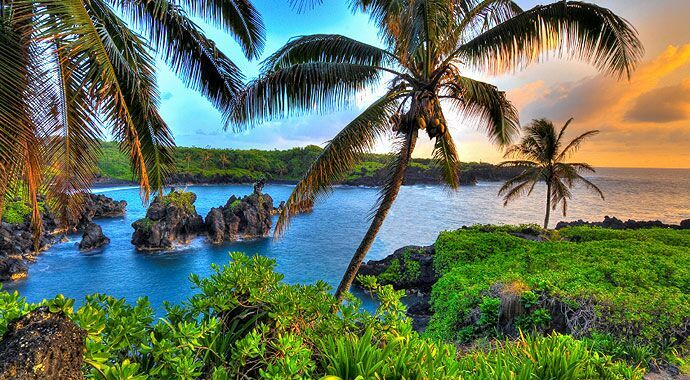 Say aloha, surf the waves, enjoy amazing Waikiki, climb a volcano or visit Pearl Harbor. This exciting holiday includes air travel within the US, and lodging. 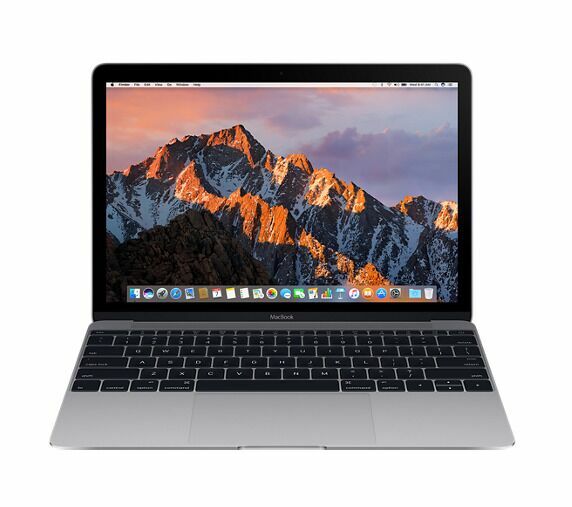 Redeem 1,000 coins to receive a 12-inch, MacBook Air. It lasts an incredible 12 hours between charges, plus it's thin, light, powerful and ready for anything. From editing photos to browsing the Web, everything happens ultrafast. And it only weighs 2.96 pounds. GET LIMITED-EDITION COINS BEFORE THEY'RE GONE. 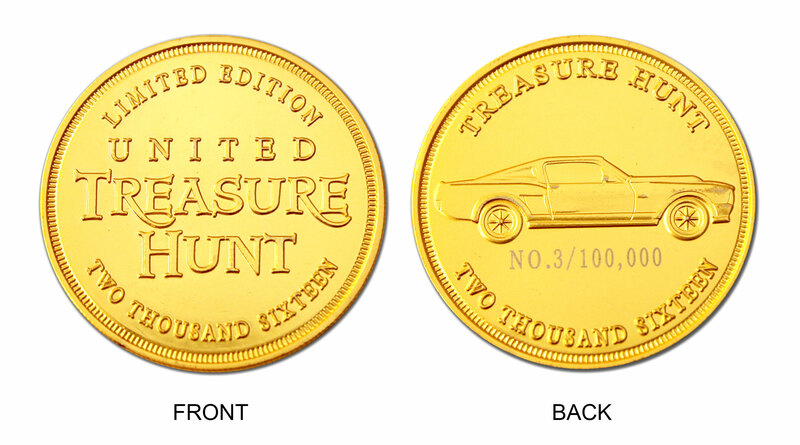 To celebrate the iconic Ford Mustang, United Treasure Hunt (UTH) has minted its first numbered, limited-edition, gold-plated coins, featuring a detailed sculpture of the car. As UTH grows, these coins may grow in value. Get yours to collect or redeem for outstanding rewards. More rewards will be announced periodically. 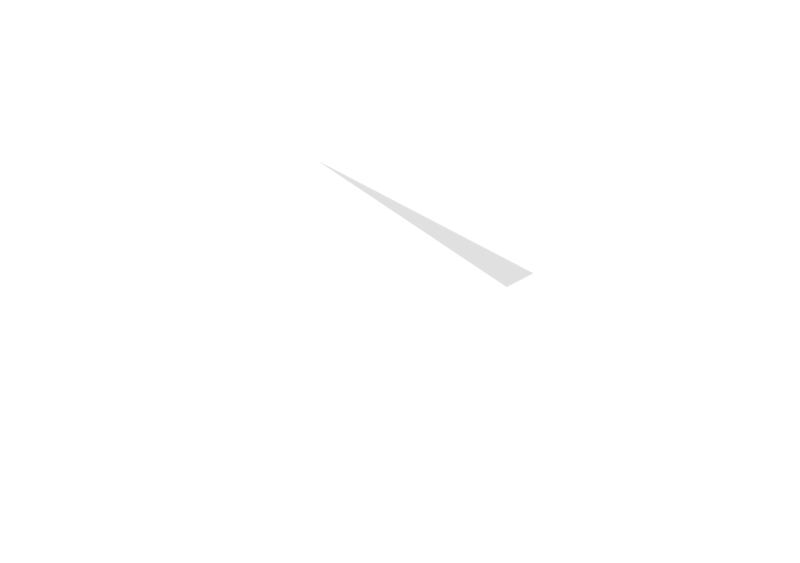 Rewards are subject to change without notice and future rewards may be higher redemtion values.